Former president Barack Obama personally warned Facebook founder and CEO Mark Zuckerberg in a post-2016 election meeting to check the spread of fake news on the site, but he was told there was no easy fix, according to a Washington Post report on Sunday. Soon after in January the Washington Free Beacon published a lengthy document relaeased by far left operative David Brock from far left radical website Media Matters. This liberal site is funded by controversial anti-American agitator George Soros. At a January donor retreat it became clear that liberals weren’t for free speech, they were for liberal approved speech only. The 49 page memo from the retreat outlined how the George Soros-funded groups Media Matters, American Bridge, Citizens for Responsibility and Ethics in Washington (CREW) and Shareblue planned to undermine President Trump’s agenda and help Democrats win control of Congress and the White House by 2020. The leaked document claimed Media Matters was working with Facebook and Twitter to crack down on pro-Trump articles on social media. The memo went on to state that Media Matters had a discussion with Facebook on how to crack down on fake news, including Media Matters providing the social media giant with “a detailed map of the constellation of right-wing Facebook pages that had been the biggest purveyors of fake news.” The memo also bragged that Media Matters provided Google with “the information necessary to identify 40 of the worst fake new sites” that would be prevented from using Google’s advertising network. It was soon clear that what Obama and the far left meant by ‘fake news’ was any conservative information that they did not like. After Obama’s meeting with Facebook, the Columbia Journalism Review published an article in March that was entitled “Study: Breitbart-led Right-wing Media Ecosystem Altered Broader Media Agenda“. The article stated that only Breitbart, The Hill and FOX News were more influential to conservative audiences in the months leading up to last year’s election than was the Gateway Pundit. 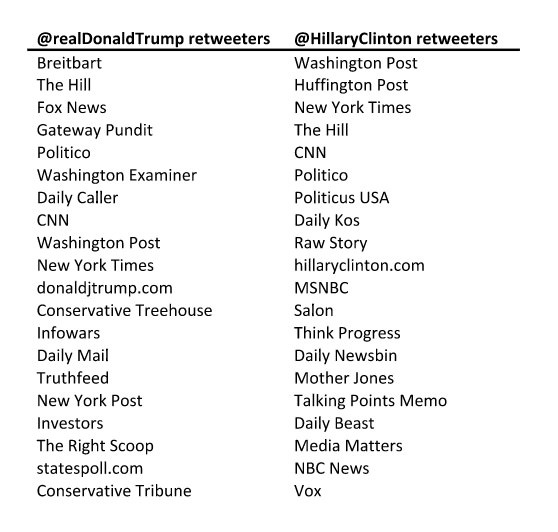 The conservative right was dominated with trusted online ‘new media’ outlets and liberal media critics that shared the real news that mainstream media would not share. The left was dominated by biased liberal ‘legacy media’ outlets that have carried water for Democrats for ages. 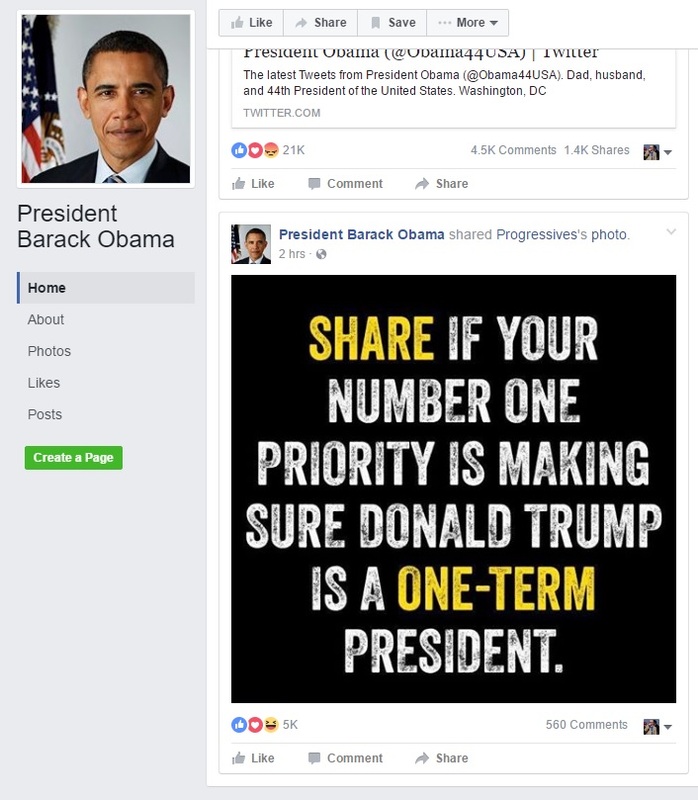 Facebook was always anti-Trump. The Networks were always anti-Trump hence, Fake News, @NYTimes and @WaPo were anti-Trump. Collusion? …After the election, I made a comment that I thought the idea misinformation on Facebook changed the outcome of the election was a crazy idea. Calling that crazy was dismissive and I regret it. This is too important an issue to be dismissive. But the data we have has always shown that our broader impact — from giving people a voice to enabling candidates to communicate directly to helping millions of people vote — played a far bigger role in this election. Based on Facebook’s actions, Zuckerberg was not honest especially since the election and one of the entities Facebook wants to stop the most is conservative leaning Gateway Pundit. Before the election it was reported that Zuckerberg and the COO of Facebook, Sheryl Sandberg were huge Hillary supporters in the 2016 elections. WikiLeaks released Hillary’s Campaign Manager’s emails which included emails from Zuckerberg asking creepy Podesta for a meeting. Podesta emails also showed Zuckerberg was working directly with Hillary with Facebook COO Sheryl Sandberg declaring: “I Still Want HRC to Win Badly. I Am Still Here to Help”. Here is our recent analysis of Facebook traffic. In every single Facebook category our numbers are down. In page visits our numbers were sky rocketing before the election. Then in three distinct periods our numbers were cut off. This didn’t have anything to do with the quality of our posts as we have proof that our generic numbers are up and increasing. The fact is Facebook is doing something to prevent our stories from being shared. Our Facebook weekly total reach numbers are also way down. In all statistical categories provided to us by Facebook our current numbers are below linear projections of where we should be even with their robust efforts to shut us down. Mark Zuckerberg and Facebook are not being honest. They do not want conservative messages to be promoted or shared. President Trump again is right – Facebook always was (and is) anti-Trump!